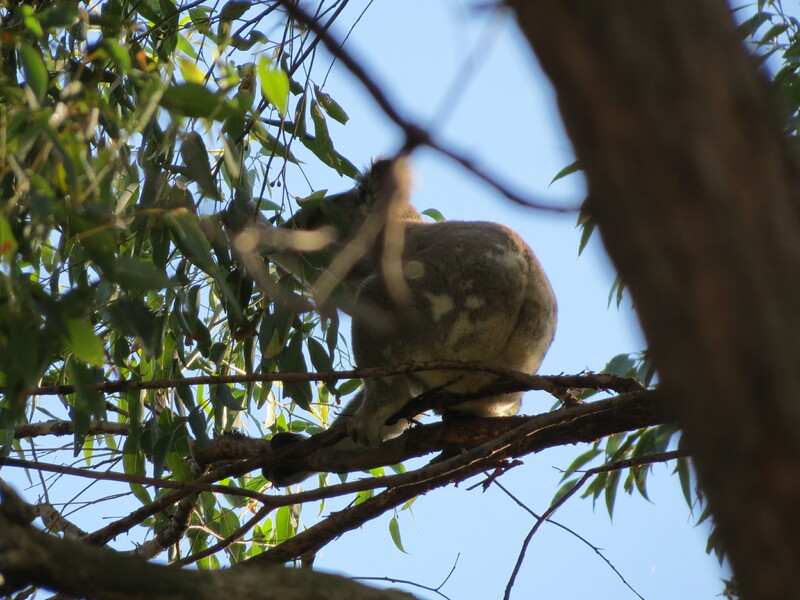 Koala with brown pelt? 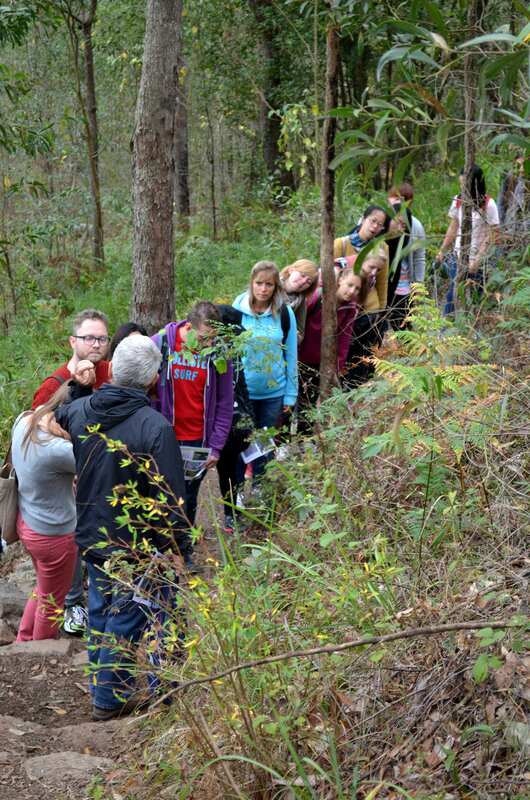 That is different. 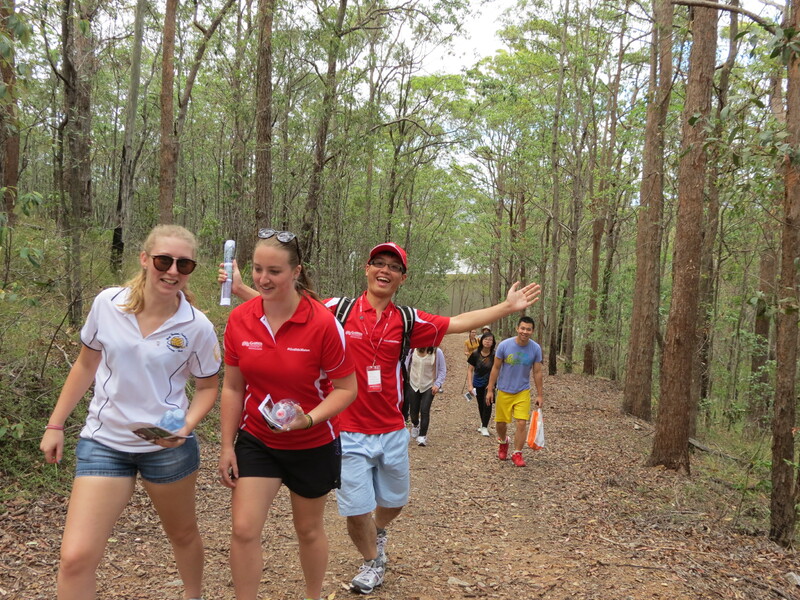 Saturday morning I was preparing to lead a guided walk for students from Griffith University and QIBT when my wife, Jude, calls to tell me there is a Koala in the tree behind our house. 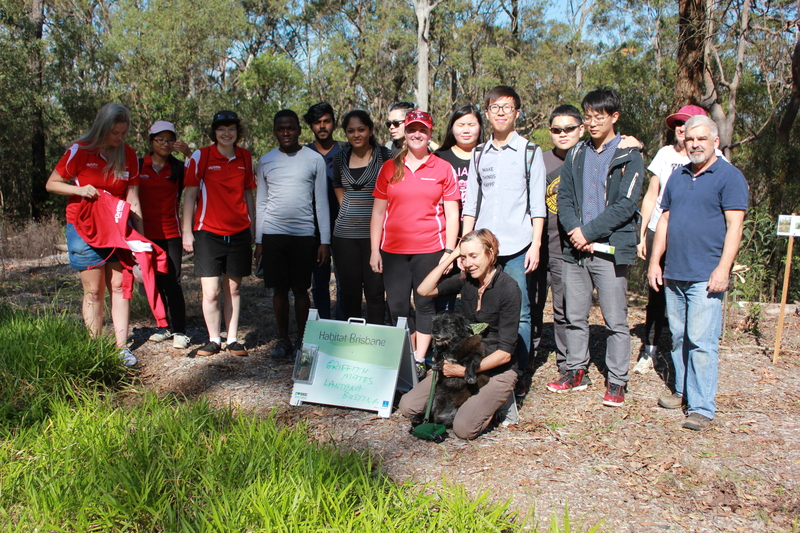 This is exciting because I can always find a tree with scratches to show people but if I can lead these students to a Koala in the wild right beside their university campus, that will be something special. 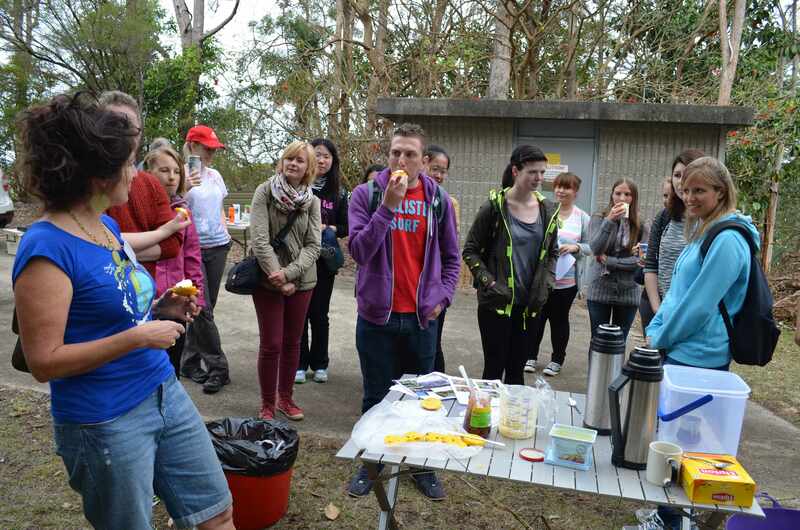 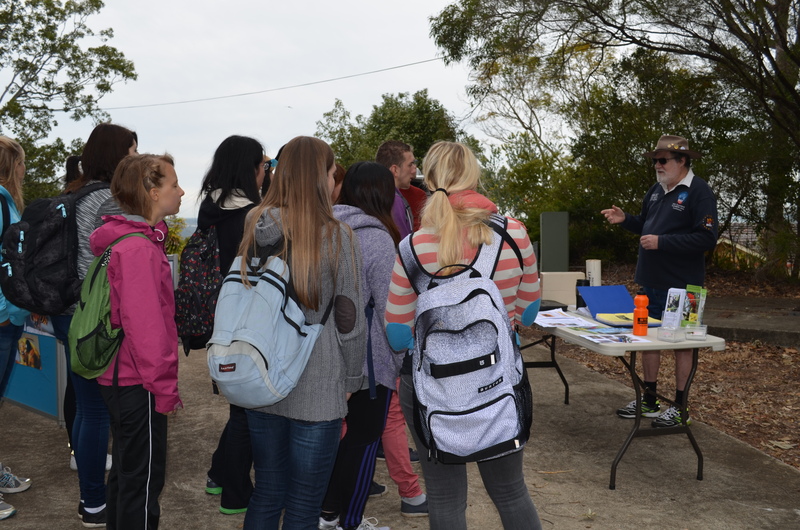 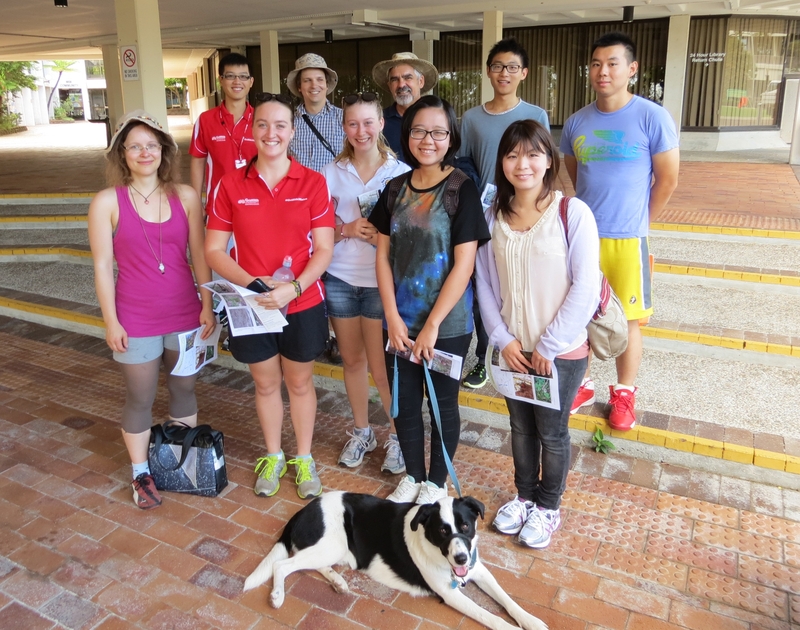 Laurie Deacon and I are joined by ten enthusiastic participants from all over the world – Europe, China, Japan, as well as country Victoria, all keen to explore Mt Gravatt walking tracks. 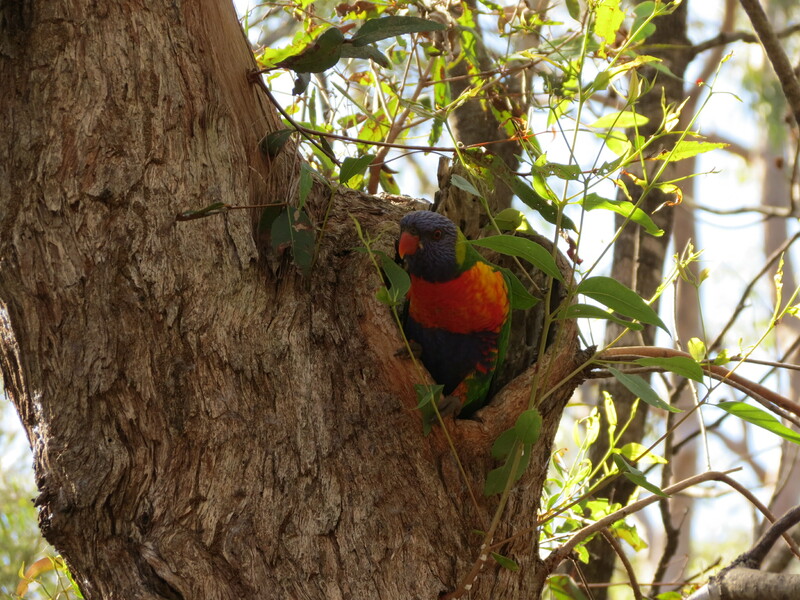 Acacia Way from Mt Gravatt Campus leads along the ridge that acts as the watershed between Ekibin/Norman Creek catchment and Mimosa/Bulimba Creek catchment passing a tree with a nest hollow being used by a pair of Rainbow Lorikeets Trichoglossus haematodus. 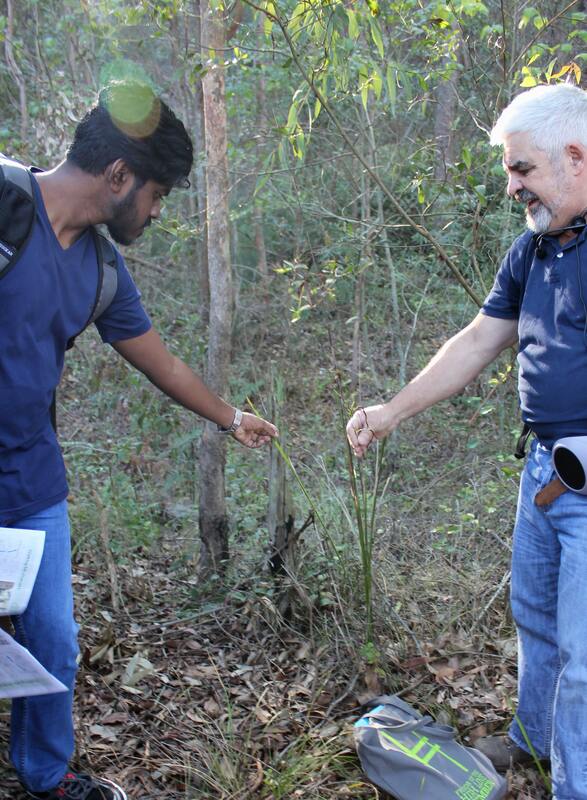 I was able to introduce our visitors to bush food – Native Raspberry Rubus moluccanus, unfortunately not in fruit at the moment, and Settlers Flax Gymnostachys anceps with tough fibers used by aborigines to make fishing lines. 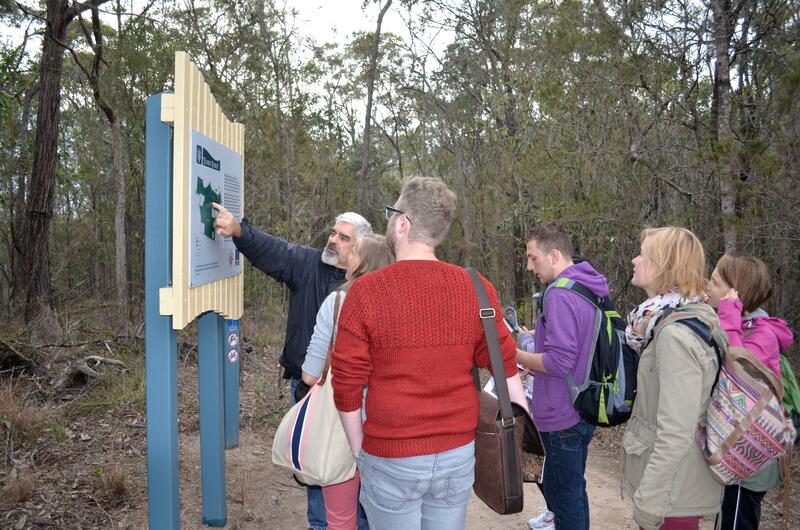 Joining the Geebung Track we continued onto the Fox Gully Bushcare site where I explained the nestbox project that is providing breeding habitat for Squirrel Gliders Petaurus norfolcensis and Kookaburras Dacelo novaeguineae. 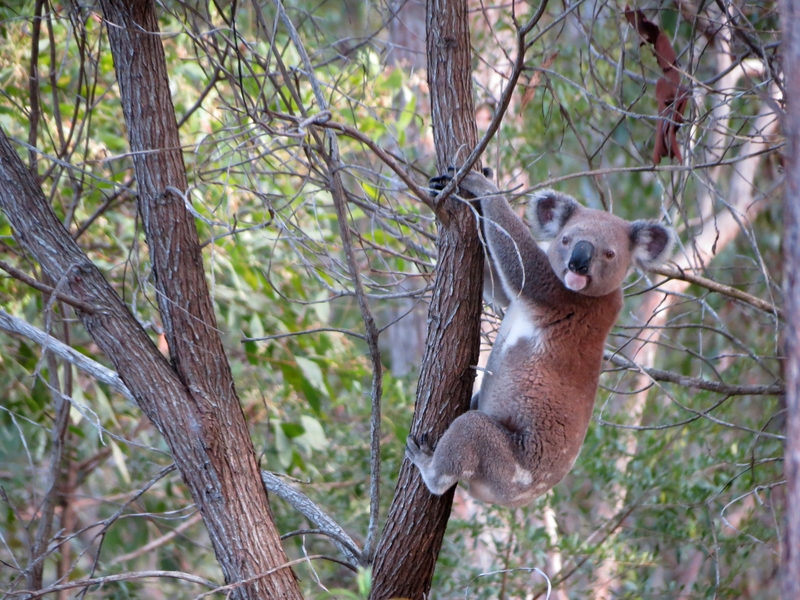 Our friendly Koala has moved high up into the branches, however, it was still a special opportunity to show visitors one of these amazing animals in the wild, not in a zoo, just 15 minutes from the city and right beside their campus. 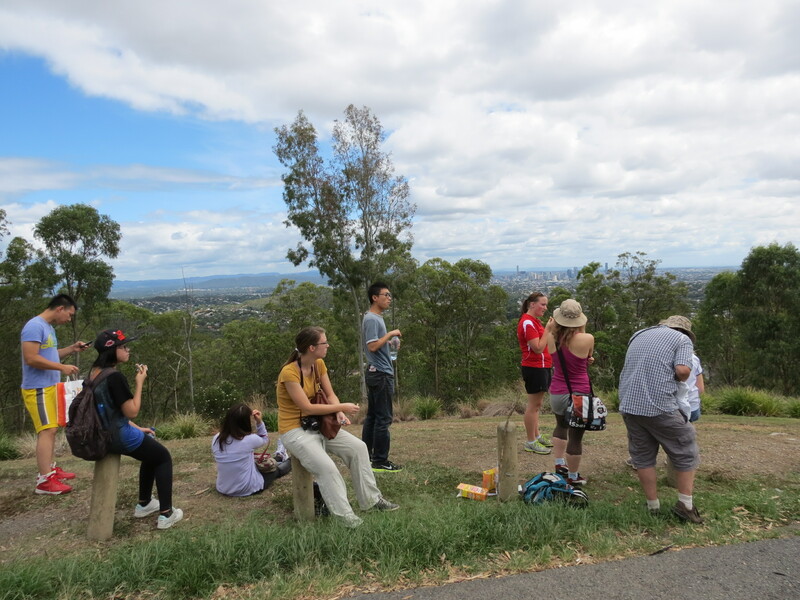 Re-energised our team powered on to Mt Gravatt Lookout for a break before returning to campus. 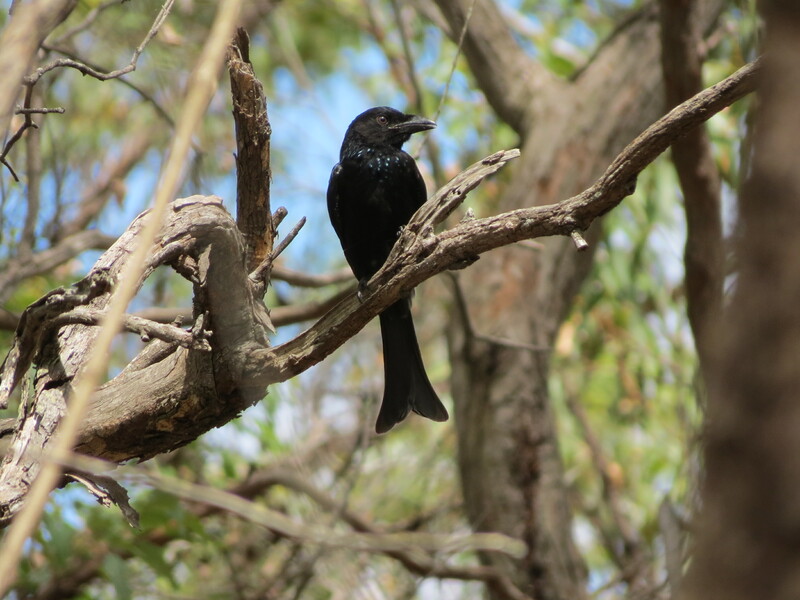 I was particularly pleased to photograph a Spangled Drongo on the way back. 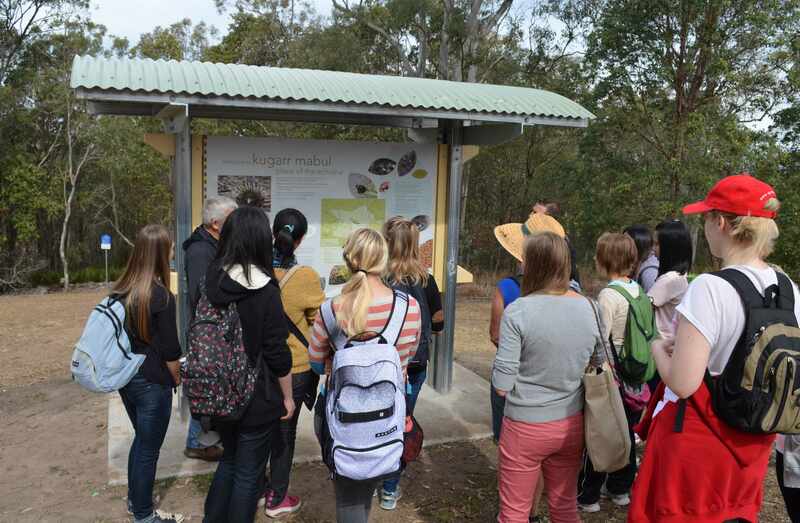 We had the Spangled Drongo on our species list but no photograph. 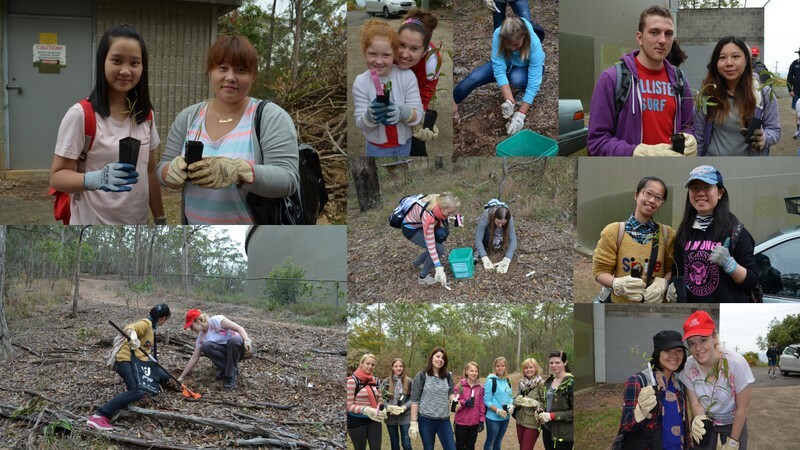 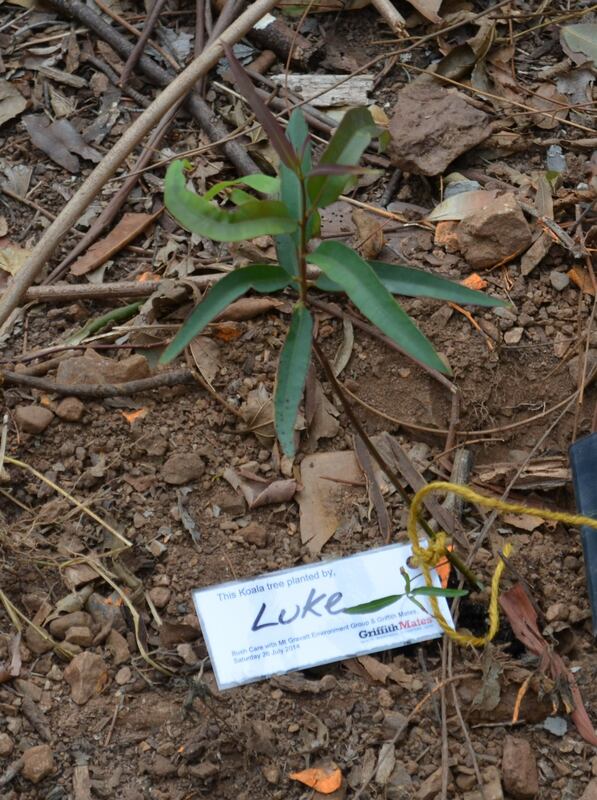 QIBT and Griffith students are invited to join us in our bush restoration work.See Griffith Mates for events.